Baccarat has been around for a long time and it is believed to have originated somewhere around the 15th century. The exact location where the game was created is something researchers have not yet agreed upon, but its roots stem from either Italy or France. However, it took about another 500 years before the game became popular throughout the rest of Europe and was adopted as a popular table game. Today, you will encounter three different variations of the game, namely: Baccarat Banque, Chemin de Fer and Punto Banco. Across Europe, Chemin de Fer is the most common variant you will encounter, except for in the United Kingdom. Here, Punto Banco is the preferred variant of Baccarat. Should you visit the United States, you will be more likely to find the Baccarat Banque version of the game. The Baccarat Banque version allows for a wider variety of wagers and wagering limits, making it attractive to players regardless of their budget. This style of Baccarat where wagering limits can be adjusted has been introduced to Europe and the rest of the world, but never caught on quite like Baccarat Banque did. Since the game has existed for such a long time, Baccarat and its gameplay have been fine-tuned throughout the centuries. This means that the modern version of Baccarat can be played at any respectable online casino and continues to attract even more punters every day. 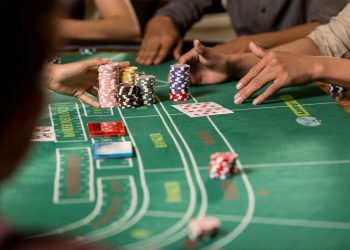 Like any table game, there are some basic rules you should familiarise yourself with before playing Baccarat. 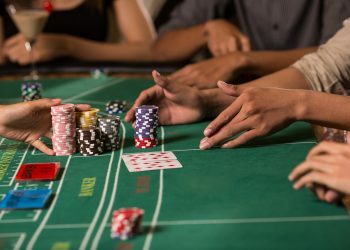 Baccarat offers a unique gambling experience, one wherein you will take it up against the dealer. The ultimate goal of the game is to get as close as possible to the number 9. The player with a hand closest to number 9 wins the game. You will also need to know which value every card in the game represents. The value of each card will be combined together to create a sum between 0 and 9. Every court card or 10 combined with another court card will result in a value of 0, since you exceeded the value of 9. If for example, you have a king, a seven and a three in your hand, the sum combined will count as 0. While you have a total of 15 in your hand, the fact that you went over 9, means you will have a value of 5 in your hand. Once you exceed 9 points, the digit on the right side of your total sum will be your final score. When playing the preferred variant of any of the three previously mentioned versions, you will also encounter three different ways to calculate your odds of winning. 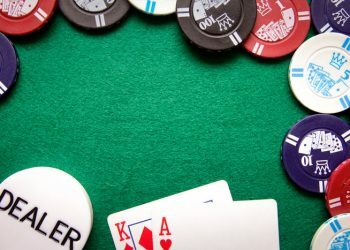 Depending on how you place your bet, you will have some sort of influence on which player will win, including whether the game will end in a draw. The game of baccarat offers three different betting options. The player can either bet on the banker, the player, or bet on a tie. Bet on player: Betting on the player to win will see a return of 1:1 on your stake. This also automatically generates a house edge of 1.24%. Bet on banker: Betting on that the banker will win, will net a return of 19:20. Since the house wins most of the bets placed. While this is favorable in terms of odds, the banker will retain 5% commission due to house advantage of 1.06%. Bet on tie: The final betting option is betting the player and banker ending the game with a tie. When you bet on that round will end as a draw you can win either 8 or even 9 times the bet, this figure is determined when you choose to play with 8 or 9 decks in Baccarat. After every player has placed their bets, the game can finally begin. To start, two to three cards will be dealt to the player and the bank depending on which version you play. Then you count all points on each side, keep in mind that the total sum of points cannot exceed 9. For example, should you get two sixes, the cards will be valued as 2 since they have a combined value of 12. A natural hand is when the player is dealt a 8 or a 9, at this moment the game will end and the players are forced to show their cards. The player with the highest score to 9 will win. If there are no players within this score frame, the game will continue as usual until the game has a winner. Should the game end in a tie, the player (if there is one) that bet on a draw “Tie” will get nine times their stake. Baccarat is a complicated and interesting game, however there are some strategies that one can use to steer the odds in their favour. Keep in mind that none of these are a sure-fire way of winning each hand, Baccarat, is after all, a game of chance and not skill. Here we will go over some interesting approaches and tips on how to increase your winning odds when playing Baccarat. Be aware and understand which Baccarat variant you are playing, as this will change the gameplay significantly. Fewer decks and lower stakes will give you better odds with higher end results than those with high stakes and decks. If you find a variant of Baccarat with only one deck of cards, this will grant you the best return in terms of winning odds. But is very rare among online casinos. It can be tempting to bet on a tie or bet on the player. Keep in mind that betting on the banker gives you a strategic advantage as the banker is 3 to 4 times more likely to win. This also applies if you are not going to play many rounds (coups). On the other hand it can be clearly an advantage to bet on only a tie, as this will draw out the game for a longer period of time. Betting on a tie will also let you see a return of 9 times your wager, should you finish the game with a winning hand of 9. 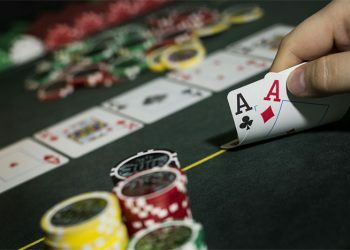 Playing a game of live baccarat at an online casino will give a unique and authentic experience that is very much comparable with playing at a land-based casino. Most live casino will have several variants of Baccarat on offer, each will give your a different set of odds and decks. As explained before, it is important to know how many decks you are playing with in each variant of Baccarat. You can be sure to find different tables that are tailored to your budget, whether you are a beginner or a veteran of this table game. Here you only need to look at the thumbnails among the live games for more information on the minimum and maximum efforts. As with other live games, Live Baccarat will play against a real dealer via an HD stream. Some of the best game providers are Evolution Gaming and Netent Live, both offers different versions of Baccarat. It is up to you to make a decision which online casino you wish to play this game at. Whether you prefer to play via desktop or mobile device, Live Baccarat is widely available on all types of operating systems such as iPhone, Android and Windows devices. All you need to receive the highest quality gaming experience is a stable internet connection. 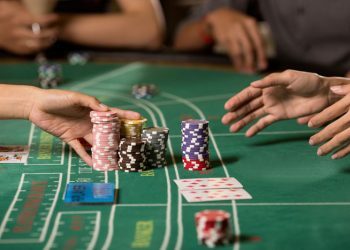 Another advantage of playing Baccarat at an online casino, is that the casino usually offers a myriad of attractive bonuses and promotions to make the most out of your visit. On top of that, some casinos will even host tournaments with large prize pools for the real thrill seekers out there. Many online casinos will host Baccarat tournaments. The same rules will apply according to the version of Baccarat specified beforehand. The player’s goal is to climb the leaderboard and assume pole position until the tournament ends, crowing them the winner. Baccarat tournaments allow you to not only challenge yourself, but also other players. The goal is to increase your bankroll as much as possible, which decreasing the bankroll of your opponents. Many times, the game is played with multiple players on the same table. On these types of tournaments, each player will receive the same starting balance. In order to move to the next round, you will need to come out on top of your group in terms of profit. This can mean that you end the game with less than you started with, but have accumulated enough profit throughout the coup that you still outrank your opponents. Baccarat is one of those games that can take a minute to learn but a lifetime to master. Learning all the different strategies and odds can be challenging, but will pay off in the long run. If you are new to playing Baccarat online, please try the game for free so you get used to the rules and discover what style of gameplay suits you the most. Although the bank has a small advantage over the player (just like any other casino game), there is still the opportunity to make a lot of money once you understand the different strategies. Here are some of the most important terms listed in alphabetical order. Baccarat: Referring to the name of the game or referring to the worst hand you can be dealt in the game: a value of 0. Banker Bet: Betting option than can be made. The bet has a higher payout, yet gives the house an edge of 1.06%. Bankroll: The player’s available funds. Burning: When removing the top cards (usually 2-6) after mixing before starting the game. Caller: Caller is another word for “croupier”, that is, the person who handles the card game: the dealer. Coup: The French word for one round of the game. Face / Court Cards: The dressed cards like the jack, the queen and the king of any suit. House Edge: When the house / casino / bank has the upper hand in the game. The right strategy can reduce / increase this advantage. La Grande: French expression of “the great”, which refers to the best hand in baccarat, a total of 9 points. Let Petite: Directly under the best hand of 9, when the cards naturally create a sum of 8. Loss Bet: A bet you lost while betting on the banker. Monkey: Slang for cards that are useless, such as the dressed cards or tens. Natural: When the total becomes eight or nine on only two cards. Palette: The long flat wooden tool that “calls” uses to move the cards on the table. Push: A bet that does not end in profit or loss, the pot is then held until the next round. Shoe: The card shuffling machine at a land-based casino. Shooter: Another word used for the bank. Standoff: When the game ends as a tie between the player and the bank. Upcard: A card that is left facing upwards on the table.